The summary Financial Plan for the upcoming fiscal year is published in May and must be approved by the Board of Trustees. Discussion or review of a special topic of interest to the University is included. The most recent Financial Planning publications can be found on this page. At any time, the most current publications may cover different fiscal years. To obtain financial publications prior to 2009, please contact Sara Gibbons smg18@cornell.edu. 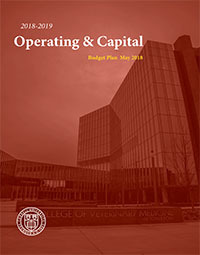 This document summarizes Cornell University’s 2018-19 Operating & Capital Budget Plan as approved by the Board of Trustees. It includes detailed budgets for the two operating divisions of the university and a summary capital plan. This document summarizes Cornell University’s 2017-18 Operating & Capital Budget Plan as approved by the Board of Trustees. It includes detailed budgets for the two operating divisions of the university and a summary capital plan. This document summarizes Cornell University’s 2016-17 Operating & Capital Budget Plan as approved by the Board of Trustees. It includes detailed budgets for the two operating divisions of the university and a summary capital plan. 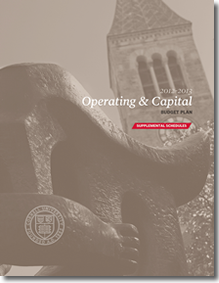 This document summarizes Cornell University’s 2015-16 Operating & Capital Budget Plan as approved by the Board of Trustees. It includes detailed budgets for the two operating divisions of the university and a summary capital plan. 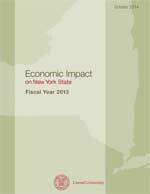 This report assesses the university’s economic impact in Tompkins County, Central New York, and New York State for fiscal year 2013. Primarily, the impacts quantified and analyzed represent five major areas of contribution to the economy: employment, purchasing, construction, students, and visitors. 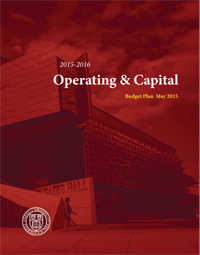 This document summarizes Cornell University’s 2014-15 Operating & Capital Budget Plan as approved by the Board of Trustees. It includes detailed budgets for the two operating divisions of the university and a summary capital plan. 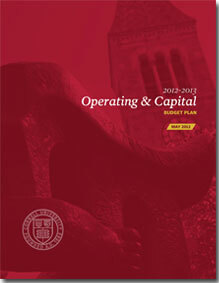 This document summarizes Cornell University’s 2013-14 Operating & Capital Budget Plan as approved by the Board of Trustees. It includes detailed budgets for the two operating divisions of the university and a summary capital plan. 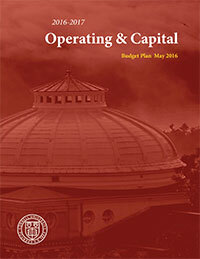 This document provides additional details on Cornell’s budget plan for the 2012-13 fiscal year. 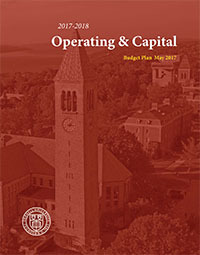 This document summarizes Cornell University’s 2012-13 Operating & Capital Budget Plan as approved by the Board of Trustees. It includes detailed budgets for the two operating divisions of the university and a summary capital plan. 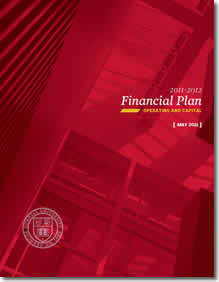 This document provides additional details on Cornell’s financial plan for the 2011-12 fiscal year. 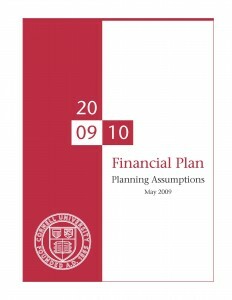 This document summarizes Cornell University’s 2011-12 financial plan as approved by the Board of Trustees. It includes detailed budgets for the two operating divisions of the university and a summary capital plan. This document summarizes Cornell University’s 2010-11 financial plan as approved by the Board of Trustees. 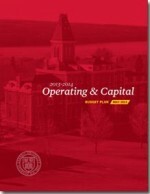 It includes detailed budgets for the two operating divisions of the university and a summary capital plan.